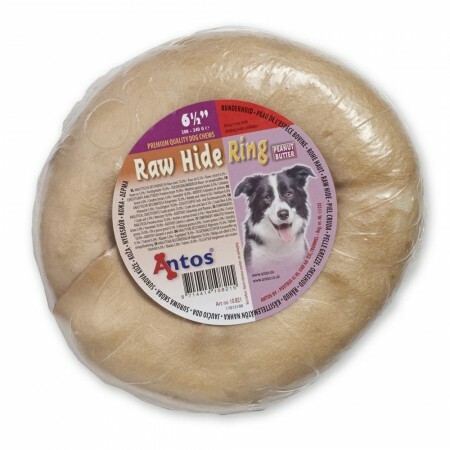 Raw hide a fine ingredient! 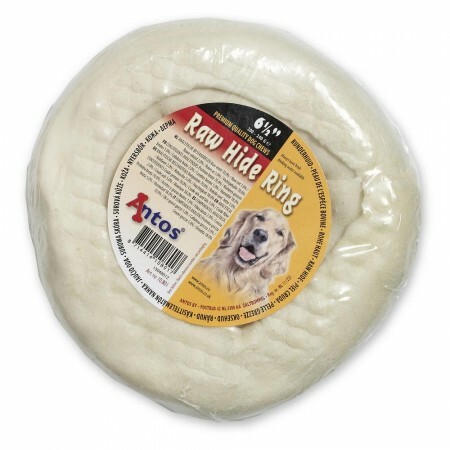 Reward your pooch with the pure, simple chewing pleasure of all-natural rawhide. 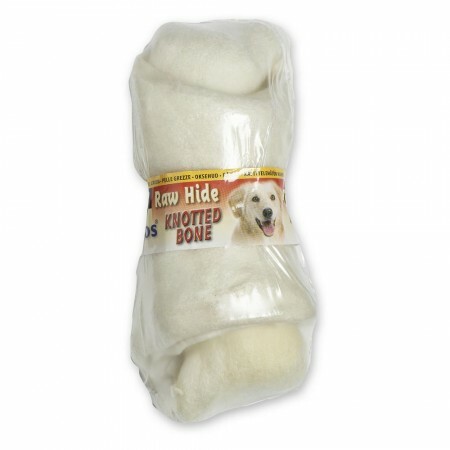 Rawhide keeps your dog entertained and engaged to help reduce boredom, anxiety and destructive behaviour. 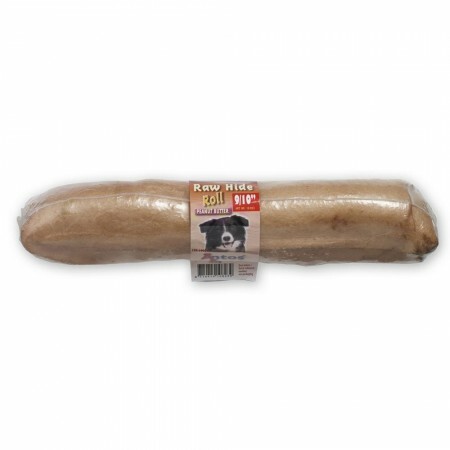 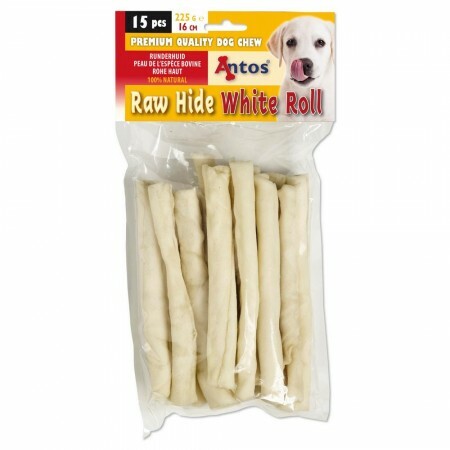 Raw Hide White Chicken and Duck are delicious rawhide treats wrapped around real meat. 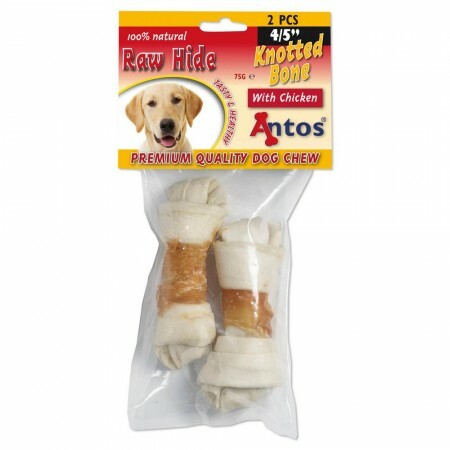 These high-protein, low in fat and easy digestible rawhide treats promote healthy chewing and your dog’s dental care. 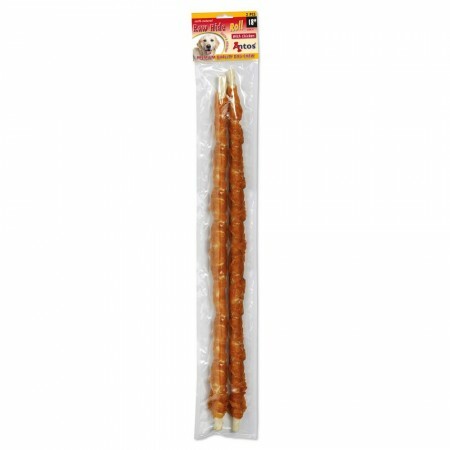 Boasting a peanut butter flavour that most dogs love and just cannot get enough of. 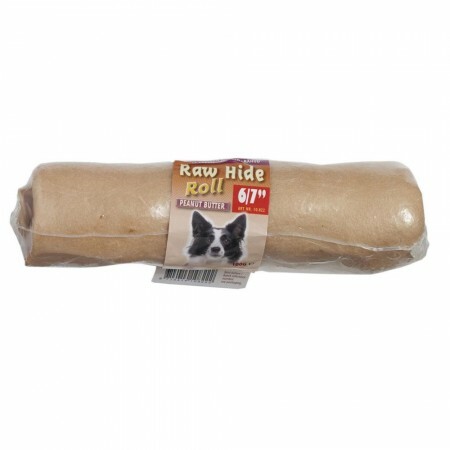 Our rawhide peanut butter products will surely be one of the favourites. 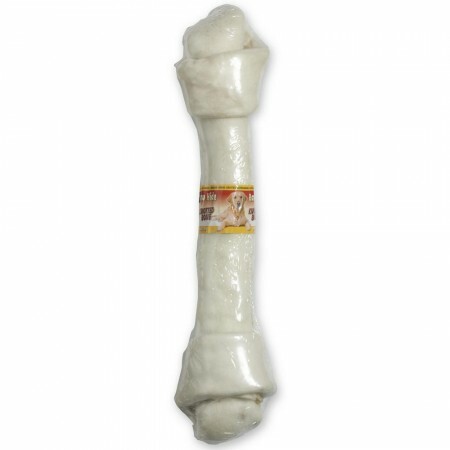 In addition to 100% natural rawhide chews, we also have white bones in our assortment. 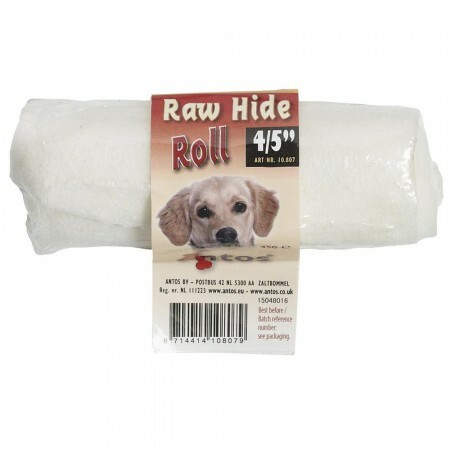 Raw Hide White + Chicken Roll 5” 6 pcs are a tasty combination of meat jerky wrapped with high-quality natural rawhide. 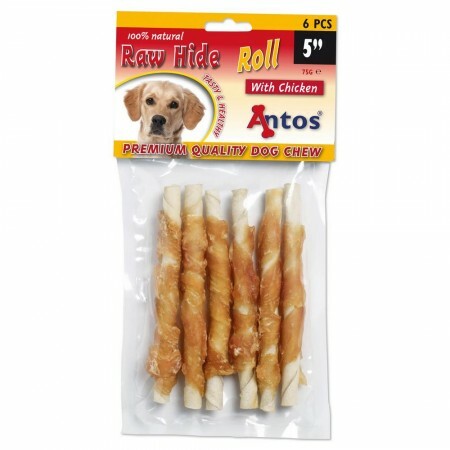 Fun to chew and fully digestible. 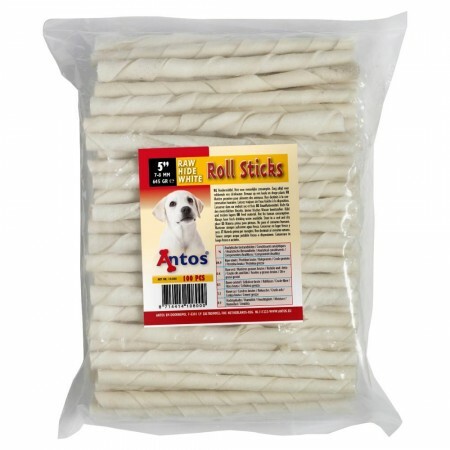 Just two simple ingredients making them free of additives, flavourings or colourings. 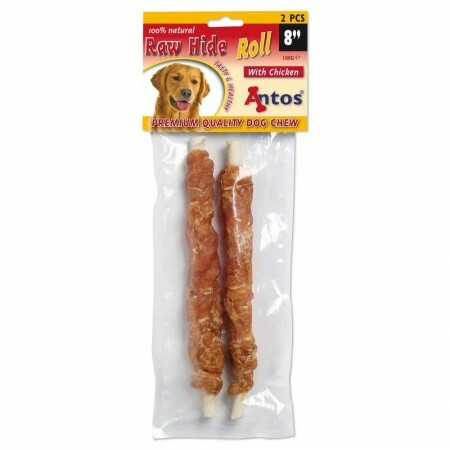 Provide your dog long-lasting entertainment with these flavourful combination chews. 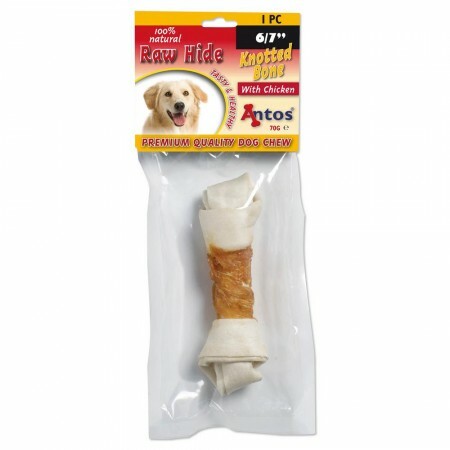 The rawhide chews come in different sizes to make these a perfect treat for any size dog. 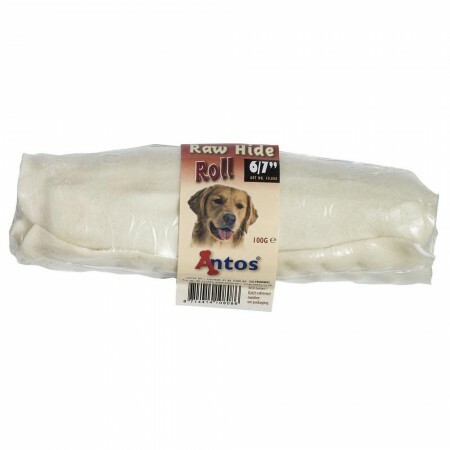 Raw Hide White + Duck Roll 18” 2 pcs are bigger, heavier and stronger treats for larger dogs. 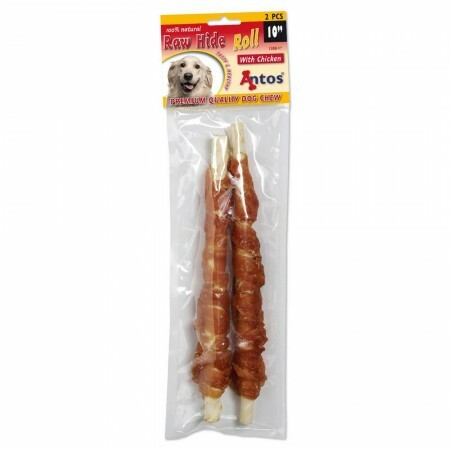 Give your dog an extra boost of mouthwatering flavor with our premium duck wrapped rawhide treats. 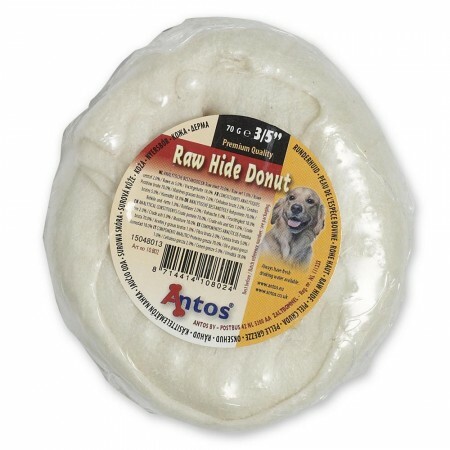 These safe treats are gluten-free, grain-free and sugar-free and helps maintain healthy teeth and gums.